Is Justin Bieber New Country? We have one spot left in our 6-day Recording Boot Camp in Los Angeles June 12-17 and a few spots left for the 6-day Boot Camp in North Italy September 12-17. What is now happening in country music has come as a bit of surprise to me. Country music is going straight up manufactured pop. This really struck me when I was listening to the new Keith Urban album, Ripcord. 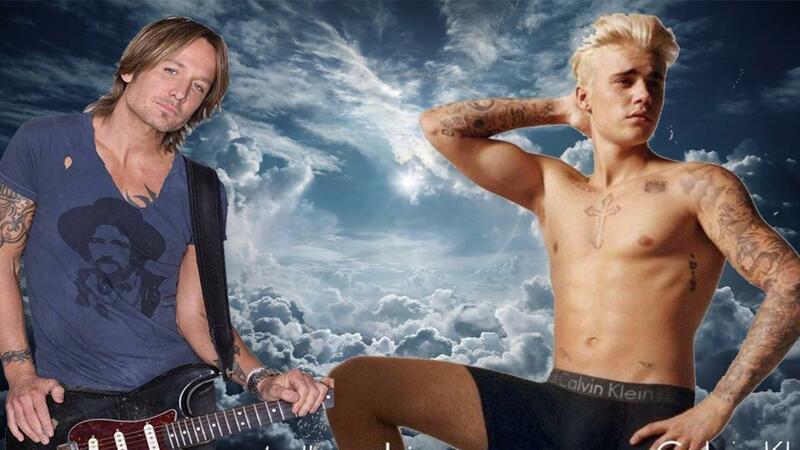 “Your Body” from the new Keith Urban album is as manufactured pop as anything on the last Justin Bieber album. The song “Life Is Worth Living” from the last Justin Bieber album is more country than anything on the last Keith Urban album. Of course, we all saw Taylor Swift make the shift to great commercial success and I thought maybe Keith Urban was a single example of someone following that trend until I spent a day driving around in my car listening to country radio. It is a real trend. Thomas Rhett’s big hit, “T-shirt” came on the radio and I could not get over the fact that if you just changed out the vocalist it would fit seamlessly on a Katy Perry album. Even the new country songs that still have a bit of the rock production style of country from the last 20 years tend to be very quantized, drum sampled and auto-tuned. As much as any “pop” productions. So why am I talking about this in a recording advice blog? Certainly not to make a joke (some of the music is really good). It is to try and help you with one of biggest mistakes that lesser experienced producers and mixers can make. We think about genres of music whether it is salsa or heavy metal or country and we often have ideas in our head of what that should sound like and work from that idea. Of course, there is nothing morally wrong with that, but for those looking to work in contemporary production it is a really good idea to continually study what is happening in contemporary music. Looking at current trends can give you a reference for your own work. Even if you want to do something completely different, at least you know that you are doing so intentionally. When we start to look at changes in production styles, study every aspect like a scientist. What is the most prominent instrument? Do the drums sound real or fake? Are the vocals wet or dry? Do the performances feel organic or locked to a grid? Does the voice naturally bend in and out of intonation or is is ruler flat? How dense is the arrangement? Are there stylistic rhymthic patters?